Between before and after pictures and the hashtag, TransformationTuesdays, let’s face it – interior design folks love a good makeover. There is something magical about seeing a once ignored space come to life with the help of a fresh coat of paint, new fixtures and of course, our wallpaper. We are so incredibly happy to share our love of design with others, and are honored each time someone chooses one of our prints to complete their home. Explore how six social media influencers incorporated our products into their design vision with touches of their personal style below. 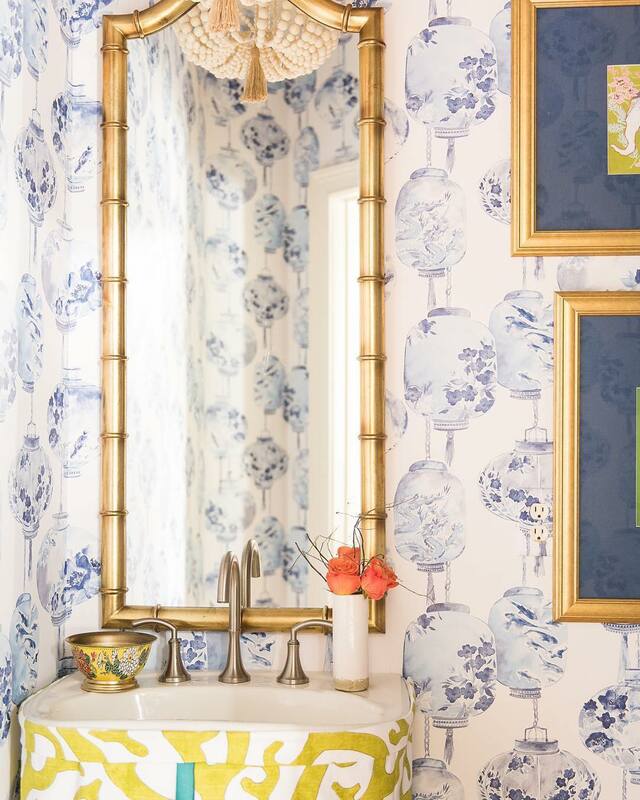 Vibrant and enchanting, this powder room by Amanda Louise Interiors featuring our Kana Lantern Festival wallpaper is truly a delight. We love how she incorporated glowing gold fixtures to complement the light blue hues of the lanterns, while the mirror with a bamboo frame emphasizes the space’s chinoiserie inspired energy. 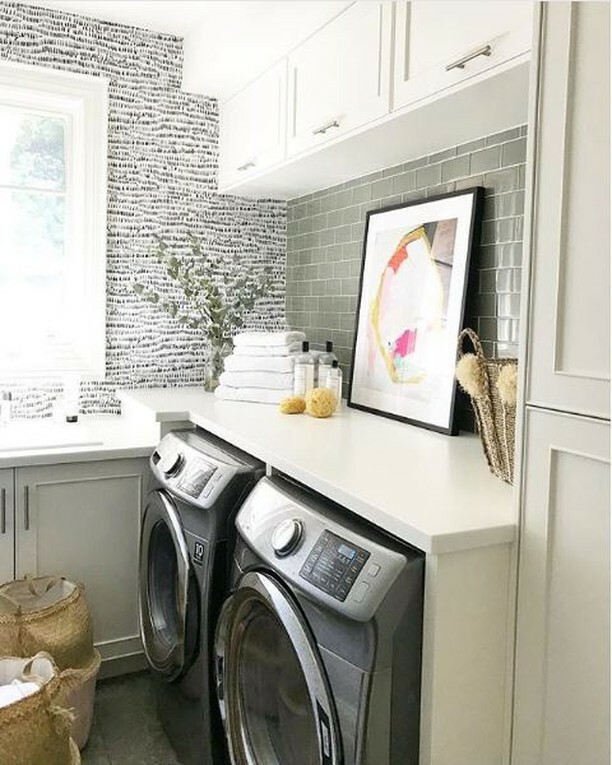 We love how Toronto-based designer, Erika Veh, combined different textures in this chic laundry room. The brushstroke print of our Runes wallpaper combines with sleek sage subway tile for a intriguing and stylish effect. 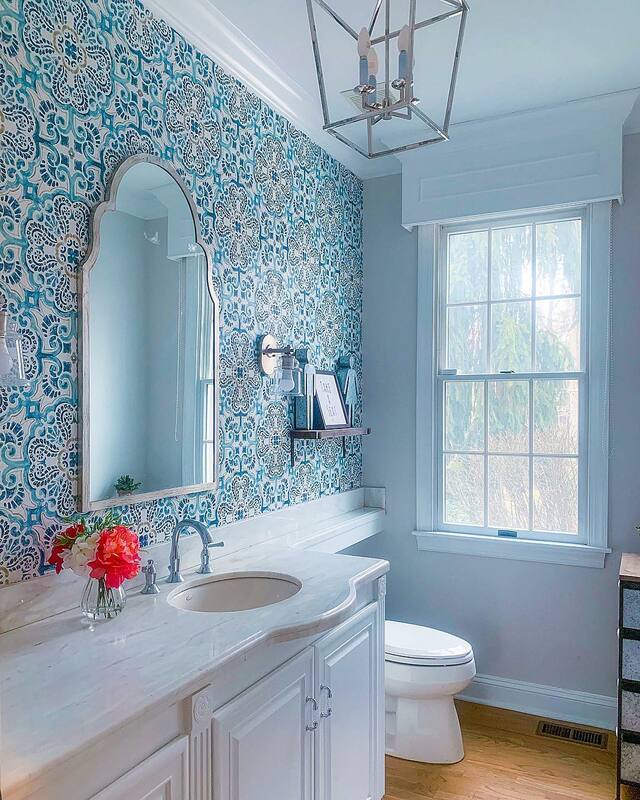 Effortlessly chic, our Florentine Tile wallpaper adds a pop of color to the white palette of this stylish bathroom by Jennifer Ray. 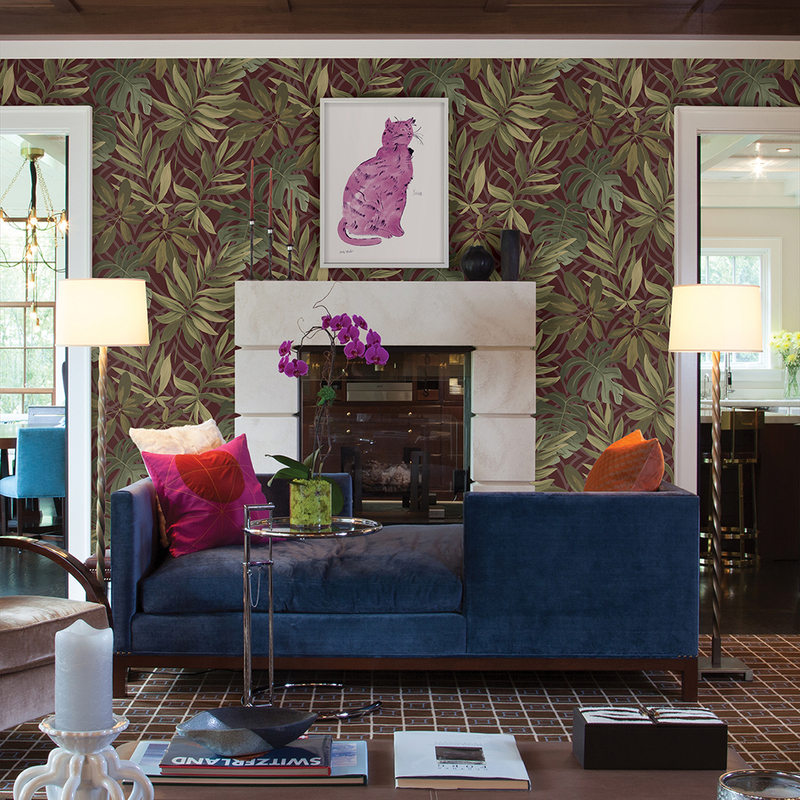 The faux effects pattern serves as the perfect print for a feature wall and adds a needed dimensional touch. 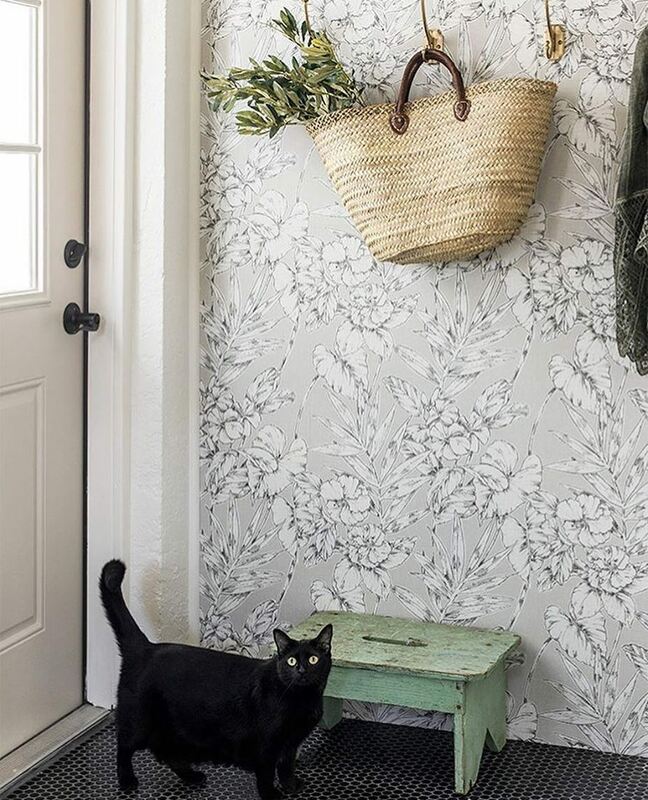 Farmhouse with a boho flair, this darling entryway by Jenna Sue Design featuring our Fiji Floral wallpaper is an absolute dream. Its neutral botanical print creates a breezy energy, while a black tiled floor grounds the space. French Country and bohemian styles meld in this beautiful guest room by Kate Keesee. 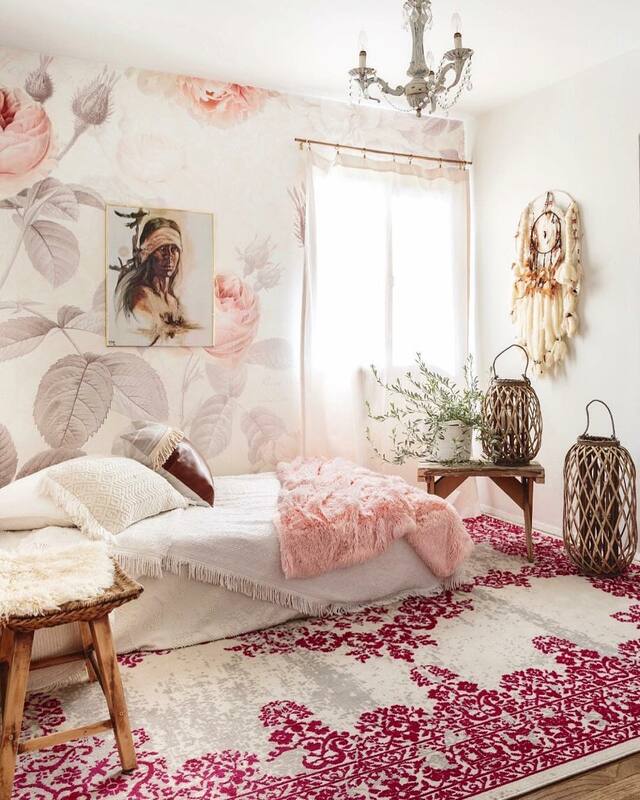 Our best selling La Maison wall mural effortlessly complements the vibrant magenta hues of the rug and blush throw. 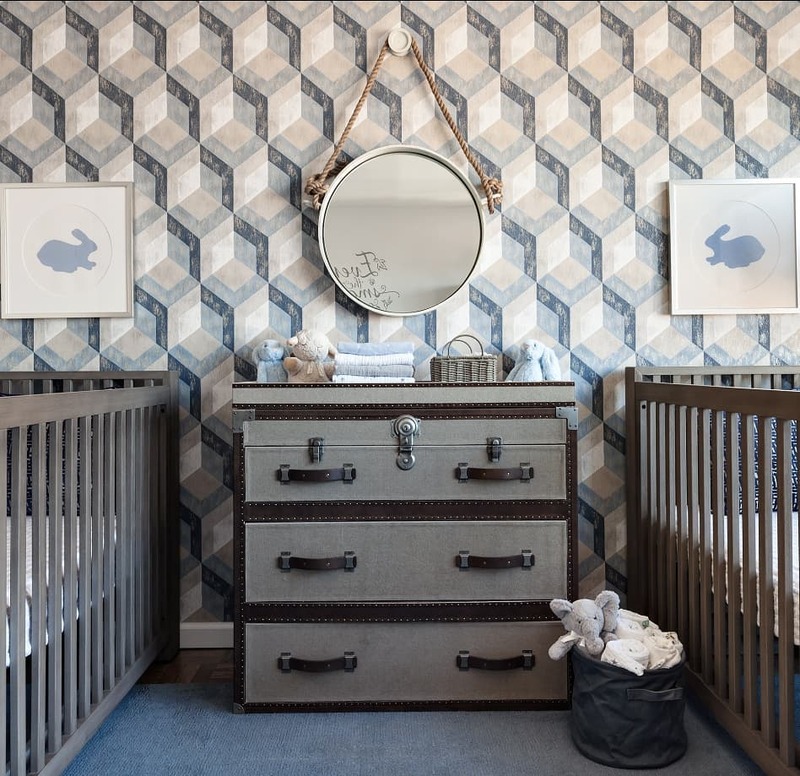 Rustic and modern, this precious nursery by Sara Touijer featuring our Geometric Rustic Wood wallpaper is fun and stylish. The trunk-styled dresser and distressed accents of the geometric print meld together to create a cozy space with an industrial edge.